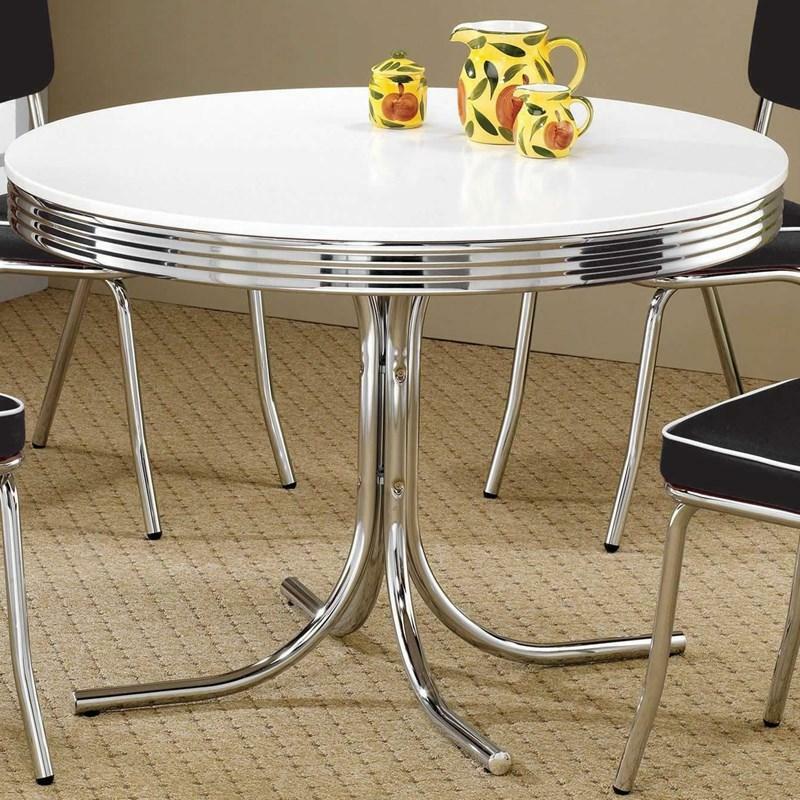 This Cleveland Round Chrome Plated Dining Table by Coaster Furniture displays a distinctive retro style. 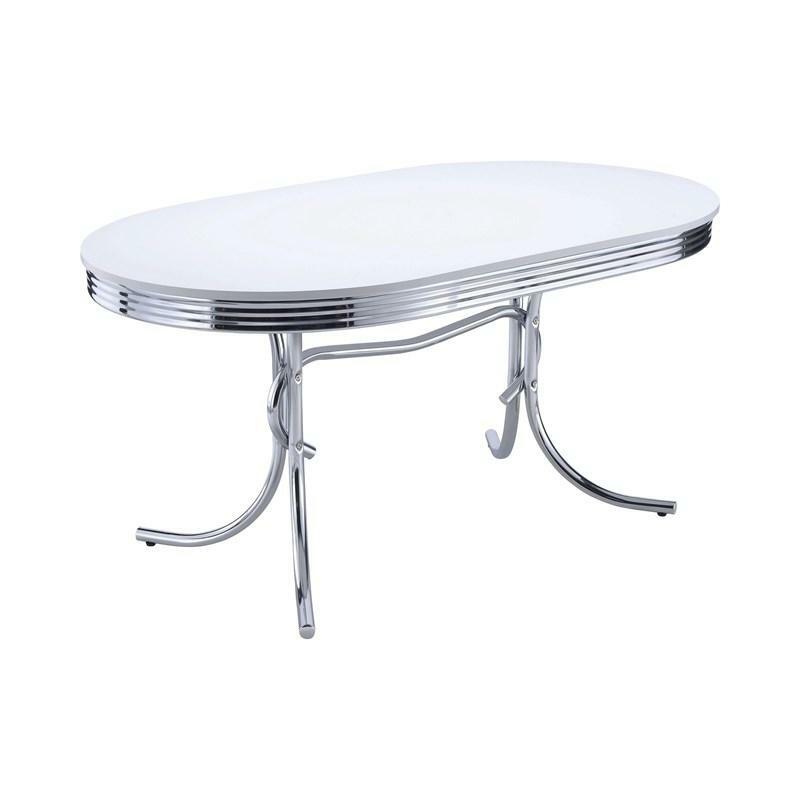 This piece features a white top and a chrome rimmed top, it is made of strong metal tubing with a pedestal design that will match with any decor. Volume 4.73 cu. ft. / 0.13 cu. 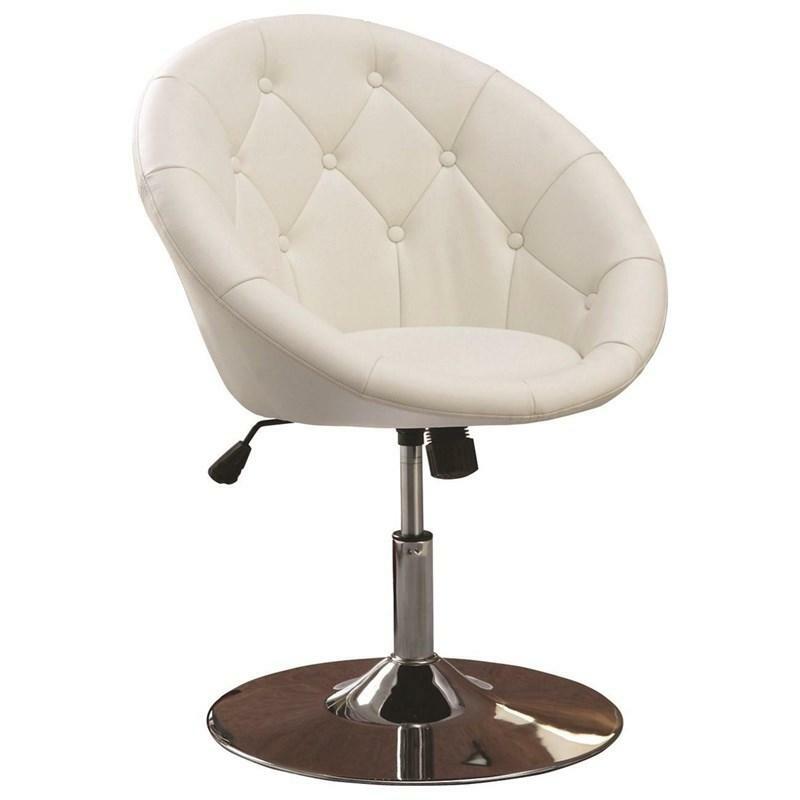 m.
This Contemporary Round Tufted Purple Swivel Chair by Coaster Furniture features a button tufted design, a chrome base and a swivel mechanism to make this chair as comfortable and chic as possible and able to match with any decor in your home. This Retro Side Chair part of the Coaster Collection displays a distinctive styling. 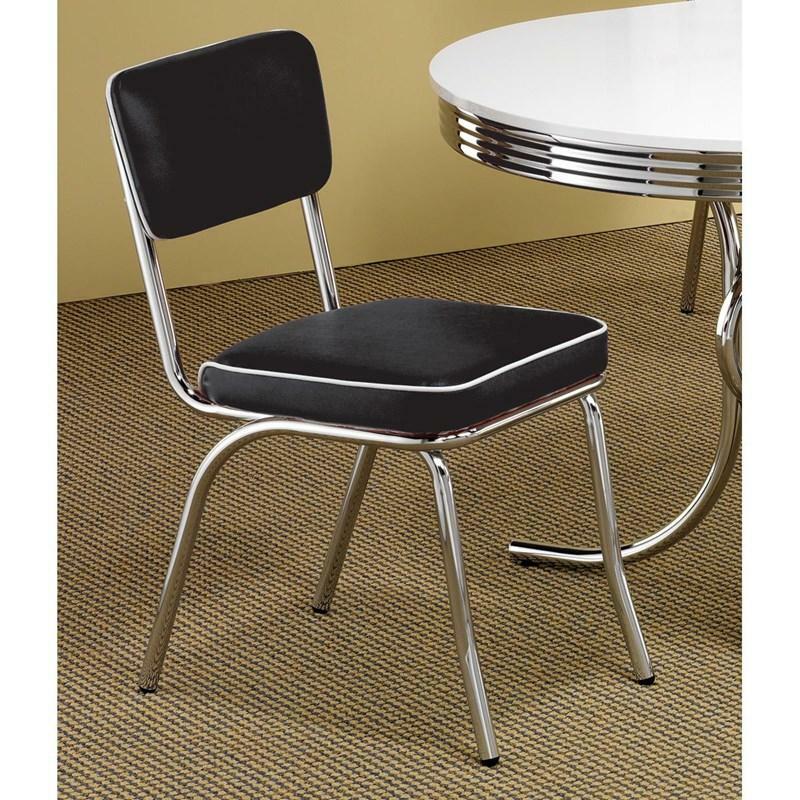 It features cushioned back and seat upholstered in black leatherette and chrome metal frame that will match with any table on the retro inspiration. 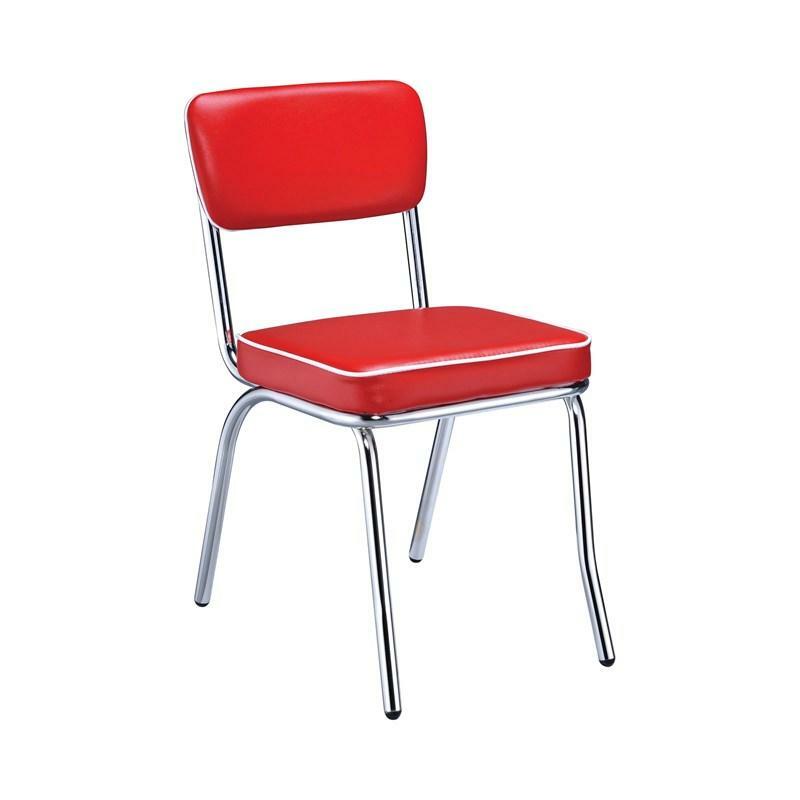 The Retro Upholstered Side Chair by Coaster Furniture features a distinctive retro style with a chromed curved frame with red leatherette that will give this vibrant look to your thematic dining room. 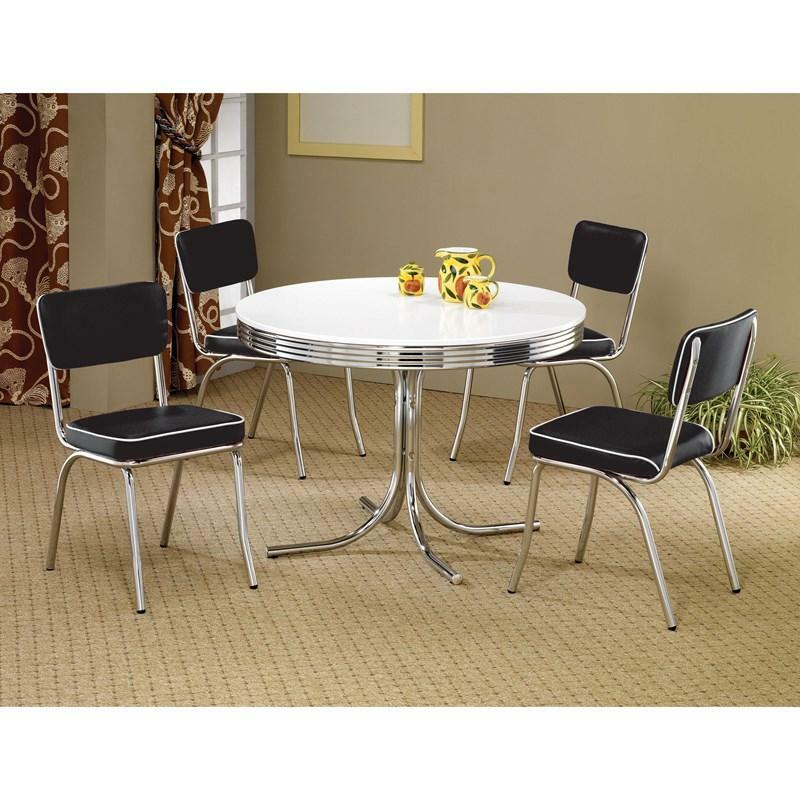 The Cleveland Oval Dining Table with Trestle Base by Coaster Furniture features a distinctive retro style with a chromed curved frame and trestle base that will give this vibrant look to your thematic dining room.